If there is a fine line between motivational speakers and life coaches on the one hand, and New Age bullshitters on the other, many fail to observe it – perhaps because the motivational-speak guiding principle of promoting nothing whatsoever in the guise of positive thinking and using the techniques of televangelism, really is the same principle guiding the New Age crowd, with the difference being primarily a matter of the degree to which the promoter in question is aware of that guiding principle. MaryAnn D’Ambrosio (“Ph.D.”), who appears to fancy herself among the fomer, surely belongs to the latter. For the neat sum of $29.95, d’Ambrosio will sell you a deck of her Boundless Energy Cards, which will “assist you with clarity, focus and next steps that are always in complete alignment with your soul and hearts desire.” They are essentially flash cards with positive messages (actually, they “feature a photograph from MaryAnn’s personal travels around the world paired with a specific word to help you discover daily inspiration”), and according to D’Ambrosio “they easily help you remember (on a very deep energetic level) who you truly are and your heart’s desire. Here’s what makes them unique and so special . . . during the design and creation process, each card is imbued with a distinctive energy.” Oh, energy! And on a “very deep energetic level” at that! Apparently, she specializes in teaching “heart-based entrepreneurs and professionals how to line up their energy to create their heart’s desire. 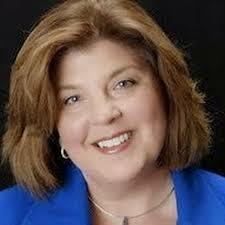 A sought after motivational speaker and facilitator, MaryAnn has created numerous energy and spiritual workshops”. Her “Ph.D.” by the way is in “holistic life coaching” (finding an accredited institution offering that one is left as an exercise). She also holds an MBA and an Advanced Graduate Certificate from the Institute of Healing Arts & Sciences, which seems to be a website (with a physical address in a shopping mall in Bloomfield, CT), which is run by one Dorothy Martin-Neville and which offers a “2-Year Energy Medicine Certificate Program and a 4-Year Energy Medicine Practitioner (EMP) Diploma Program”. Diagnosis: No, really. Apparently it probably does not fall under a legal definition of “fraud”. Imagine that. I live about an hour from Bloomfield, CT, and have been to the mall in question. On one side of the "institute" is a movie theater; on the other side is a greasy spoon. So yeah, we're talking about a highly accredited venue of higher learning!